All prices include: accommodation and meals; all as listed. If you don’t already believe in love at first sight, you will once you experience this trip! Visiting the islands of the Adriatic has always been one of my travel highlights. Each bay you stop at seems to be more picturesque than the last and the scenery really is spellbinding. The balance of activities included in this holiday really works perfectly too. You get to go paddle boarding, cycling, sea kayaking and hiking but every day also leaves time for some exploring and relaxation. The combination of spending time at sea and on an island base means that you experience the very best of this region. 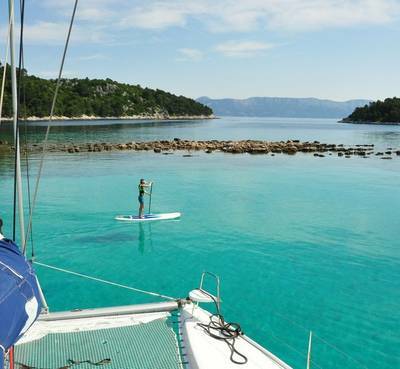 Split between Croatia’s land and sea, this trip includes three nights sailing the Adriatic by catamaran and four nights based in the dreamy Šipanska Luka Bay. 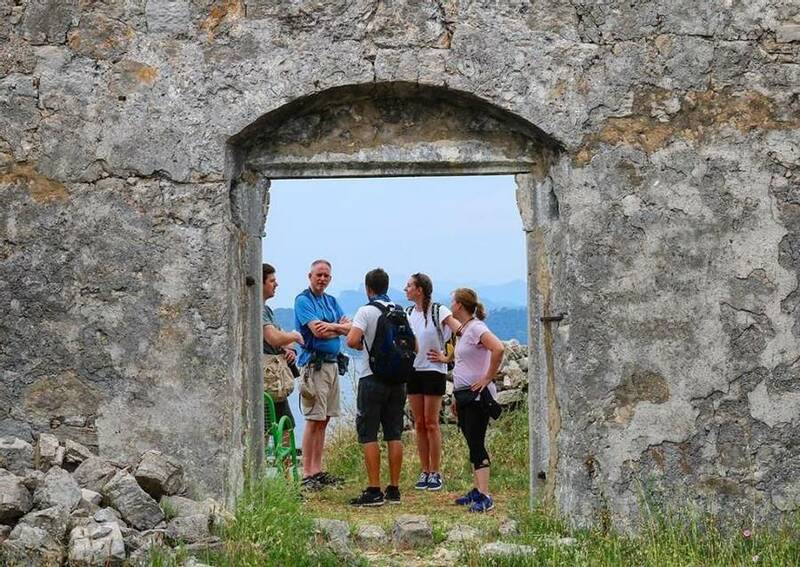 You’ll visit the Elaphiti Islands, Mljet and the Pelješac Peninsula for striking views and historical sites, as well as enjoying activities such as hiking and kayaking. The following destinations are visited during the holiday: Koločep, Lopud, Šipan, Mljet, Žuljana, Ston, Broce. 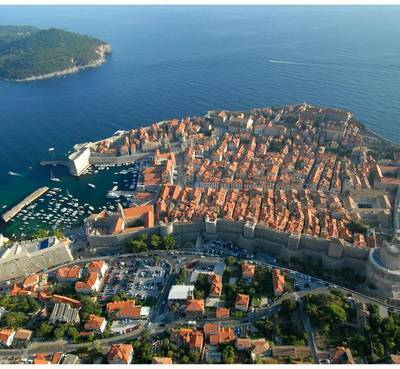 Dubrovnik can be visited with ease during your stay on Sipan. Each trip starts at 10 am from Komolac Marina. The marina is approximately 15 minutes by road from Dubrovnik and, given the morning departure, we recommend staying in the city the night before. Please see the 'Personalise' tab for more details. From lovers of The Great Outdoors to history buffs, culture vultures to architecture admirers, sun-worshippers to activity-lovers, this trip has something for absolutely everyone. 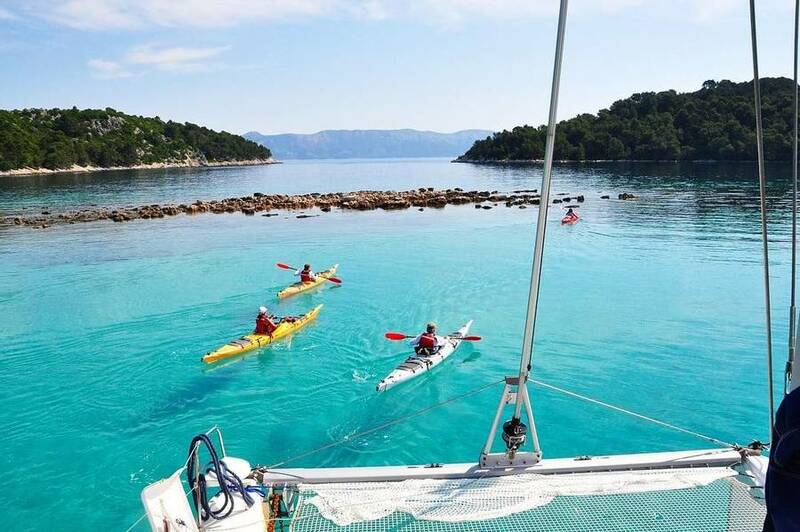 Spending the first three nights on a catamaran, this trip will see you sailing the Elaphiti Islands, stopping at Koločep and Sipan as well as Mljet. 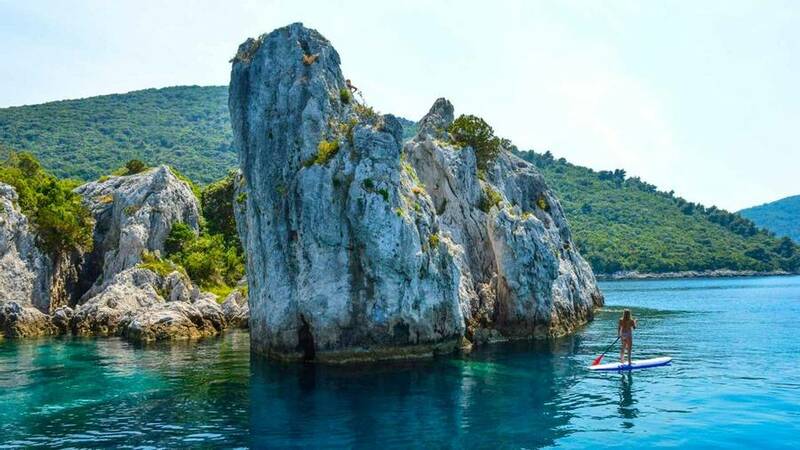 We promise you crystal clear waters, traditional harbours and breath-taking views at each destination, and your crew will take you paddle boarding, snorkelling and cycling from idyllic spots along the way. What’s more, all equipment is free for you to use in your spare time during the cruise, so you can independently explore the stunning coastal landscape and the peaceful surrounding waters. 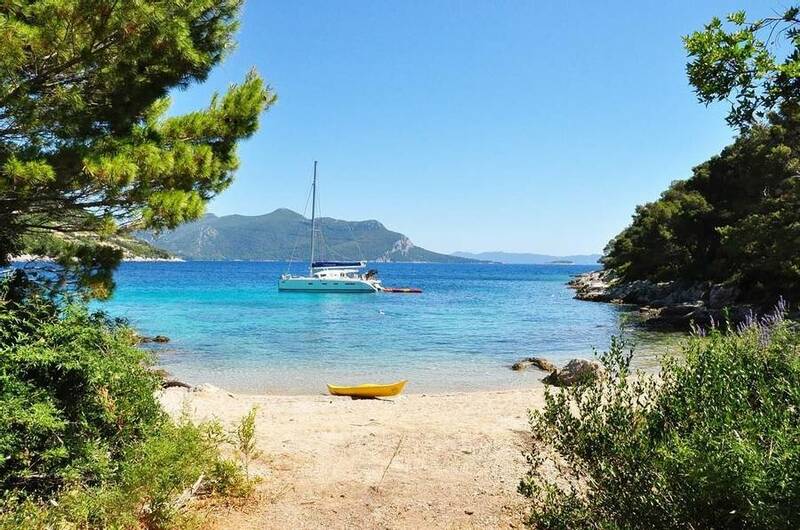 Your base on dry land is in the idyllic bay of Šipanska Luka on Sipan, where hiking, cycling, sea kayaking, and a relaxing beach day are all included in the itinerary. The castles, chapels and monasteries, and the romantic ambience of the bay all add to the tranquil nature of the island, providing the perfect spot for the remainder of your holiday. Another great thing about Sipan is that its location makes it so easy to visit other destinations. 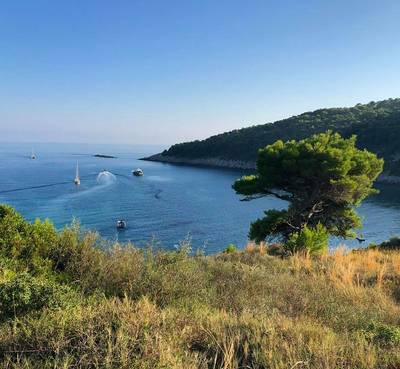 Regular ferries to Dubrovnik and Lokrum mean that you can use your free time to take a day trip, and your itinerary includes a short ferry ride to Lopud for a hike through the island’s picturesque walking trails. 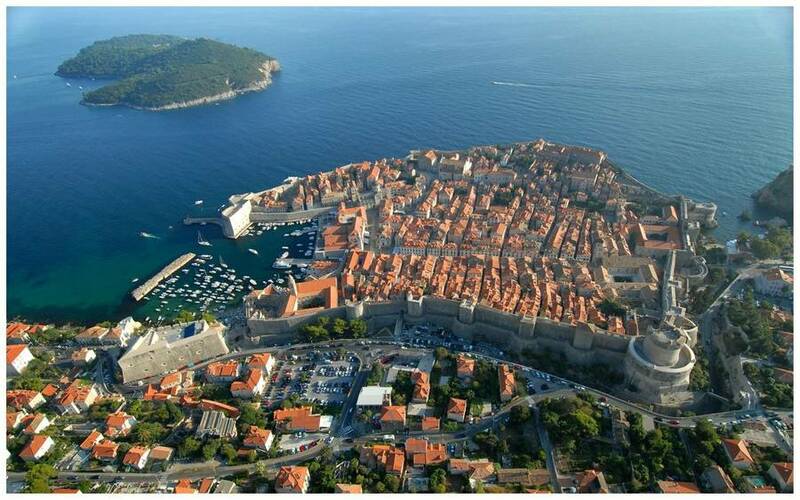 Please note that visits to Dubrovnik from Sipan are optional and are not included in the price of your holiday. During the week, you will have two different bases. 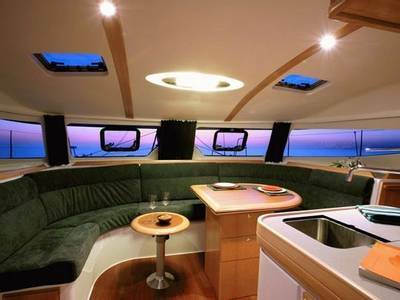 The first is a catamaran, with a spacious sunbathing deck, complete with steps for lowering yourself into the sparkling waters of the Adriatic. On dry land, you will stay at the traditional, six-bedroom Guesthouse Dubravka, which sits right on the waterfront in Šipanska Luka. This means beautiful sunsets behind the harbour’s swaying palm trees, fantastic views of the azure bay and the beach on your doorstep. 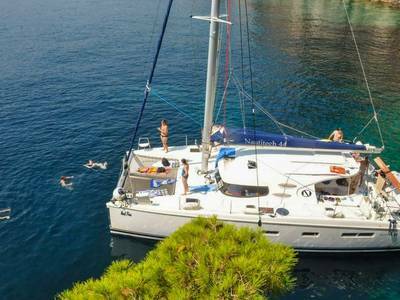 You’ll be setting sail from Komolac Marina which is just a few miles outside Dubrovnik. 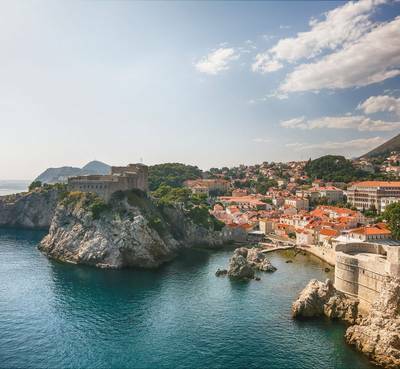 The arrival time is 10 am so we strongly suggest booking a night or two in Dubrovnik before the trip commences. We can arrange flights, accommodation and transfers to suit your preferences so please discuss the options with one of our Travel Experts. 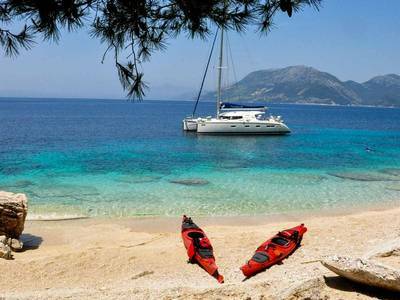 At Komolac Marina you will be met by the crew, introduced to your shipmates and be given a safety briefing. 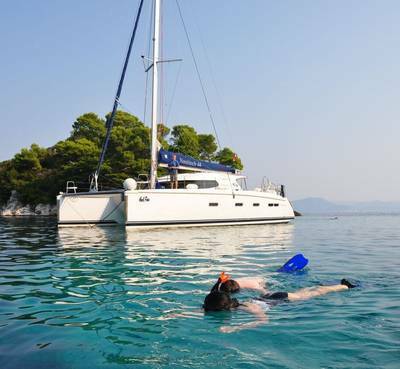 Then, without any further ado, you’ll be aboard the 10-berth catamaran and heading out to sea and the first Croatian Island of your stay, Koločep. 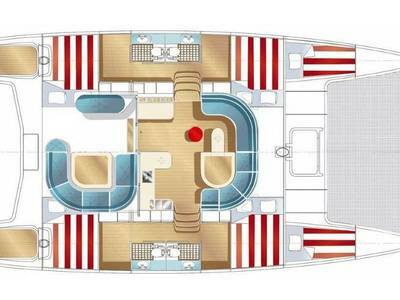 There is plenty of room on deck to relax, watch the shoreline recede and enjoy the stunning views of the mainland mountains, the red roof topped towns and villages, and the islands shimmering in the Adriatic haze. 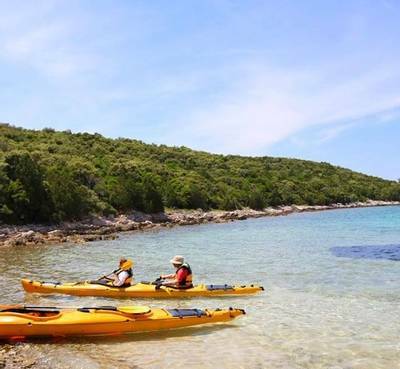 Koločep is one of the smallest inhabited islands that make up the Elaphiti Archipelago and with rocky inlets and sandy bays, it’s ideal for some pre-lunch water-based activities. The crew will dish out the paddle boards and you’ll have your first shot at this rapidly growing sport. The clear blue Adriatic waters are ridiculously enticing and there is plenty of marine life visible using only a snorkel. Grab one and simply watch Fishy World going about its business below you. All this activity should, by now, have created quite an appetite and you’ll be well rewarded with the chance to enjoy lunch at one of the best fish restaurants on the islands (lunch is not included in the price). 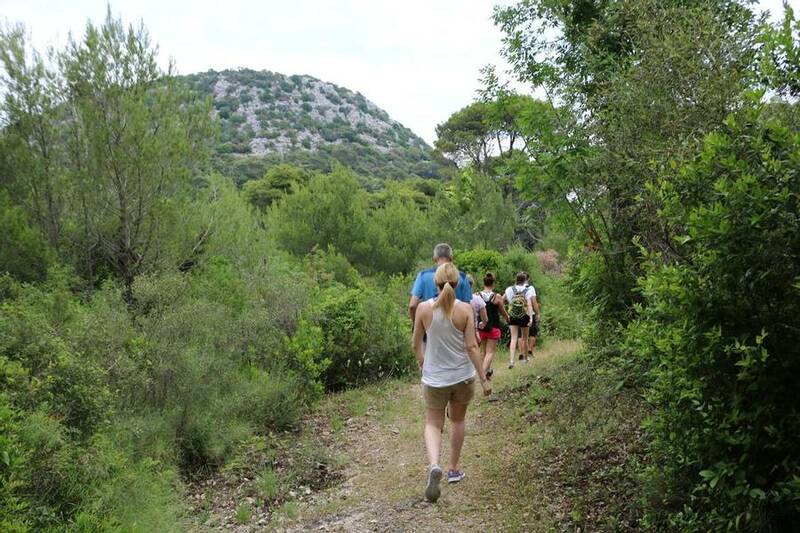 With your appetite satiated by the bounty of the Adriatic, it’s time to work off a few more calories with a short walk under the cover of fragrant pine trees to admire Koločep’s impressive rocky shoreline. There’ll be time for some sunbathing on deck and even a post-lunch snooze as the catamaran heads towards the islands of Lopud and Sipan this afternoon. 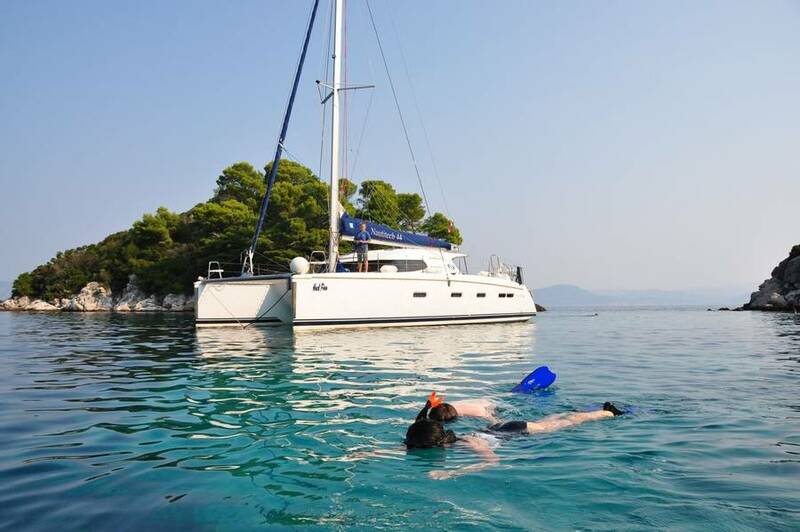 This evening, the skipper will make anchor in a lovely bay around Sipan which is again ideal for swimming. Dinner is at your own convenience and we recommend asking a member of the crew for recommendations. 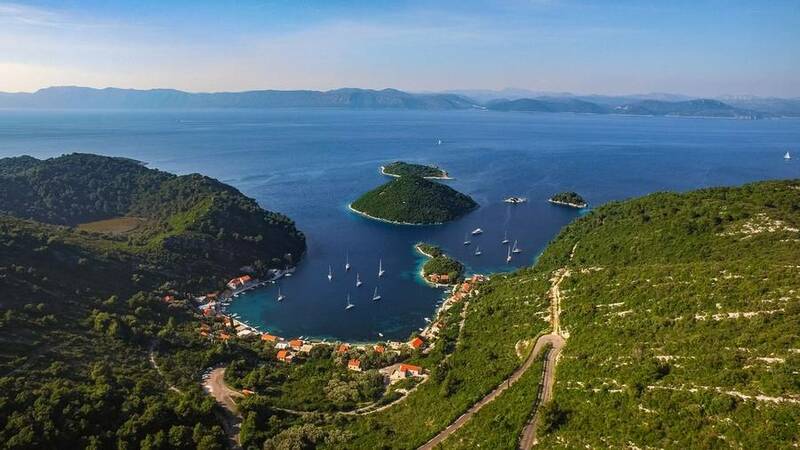 If there is a more alluring island anywhere in the world than Mljet then we really need to know about it, please. 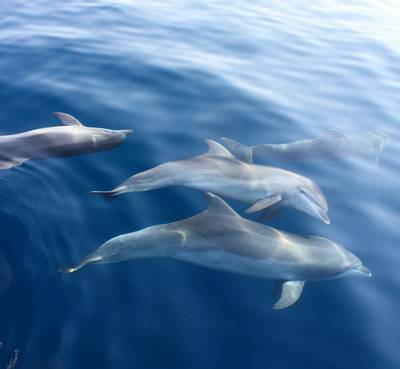 When Mother Nature created Mljet she was on absolute top-notch form. 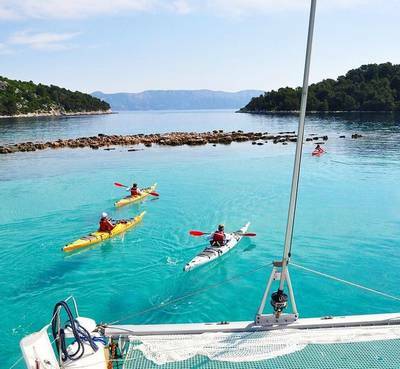 As you approach by sea, Mljet appears to be little more than a long grey rock, topped with lush green pine forests. However, as you draw ever closer, the island begins to reveal its secrets, especially at the North West tip. It is here that the forces of nature have combined to create two inland saltwater lakes, one of which, has its very own small island that is home to a 12th-century Benedictine monastery. The catamaran will weigh anchor and you’ll have the opportunity to cycle to the lakes from where you can take a small boat over to the monastery. 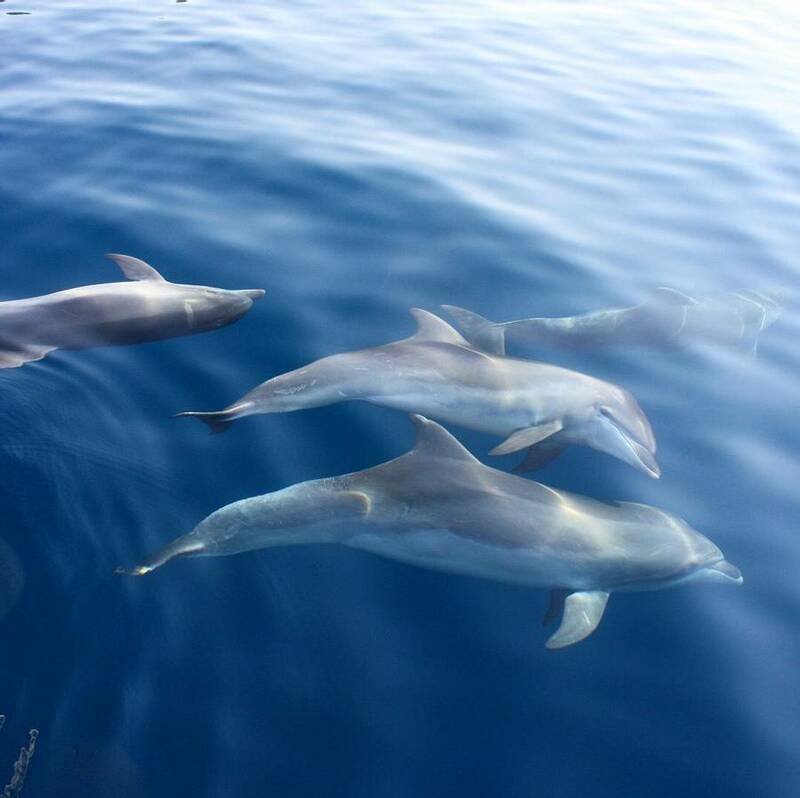 Please note that an entrance fee is payable to enter the Mljet National Park (not included in the holiday cost). If you don’t fancy visiting the monastery and the lakes (inevitably, such a marvellous spot can get very busy) then why not enjoy some more activities? 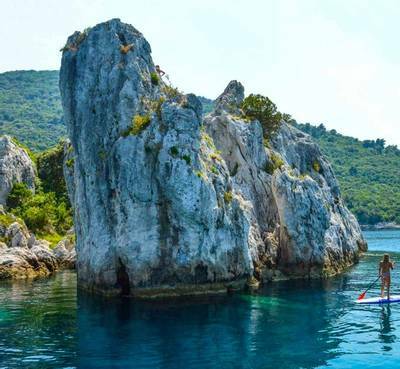 Paddle boarding, kayaking, swimming and hiking are all possible before you set sail towards the mainland and the Pelješac Peninsula. 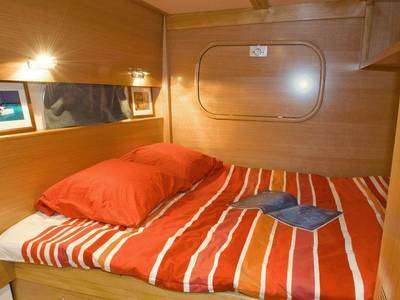 You’ll spend the night moored in a very pleasant bay close to Žuljana village. Again, the crew will be happy to suggest places to eat. Pelješac is less accessible than the popular coastal resorts and has not witnessed the same upsurge in tourist numbers as elsewhere. 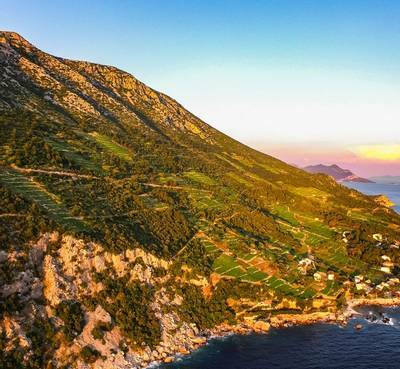 Indeed, it is best known for wine making, salt harvesting and its oyster farms. 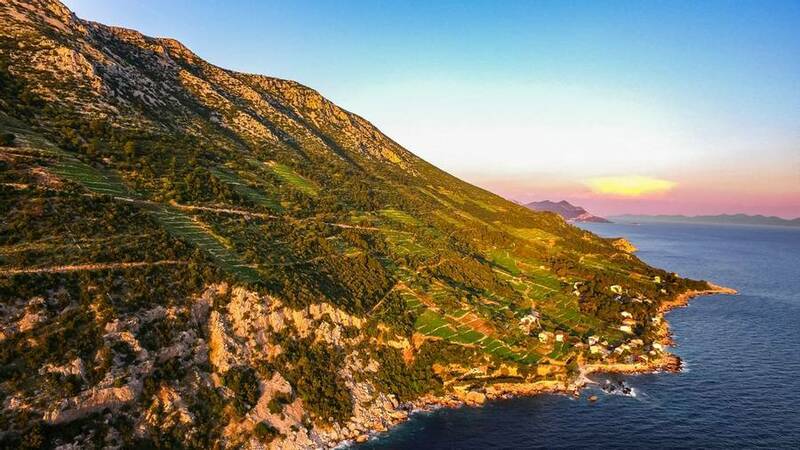 The towns, villages and beaches also remain largely untouched so today you will be privy to what might be considered “normal” rather than “touristy” life on the Dalmatian Coast. 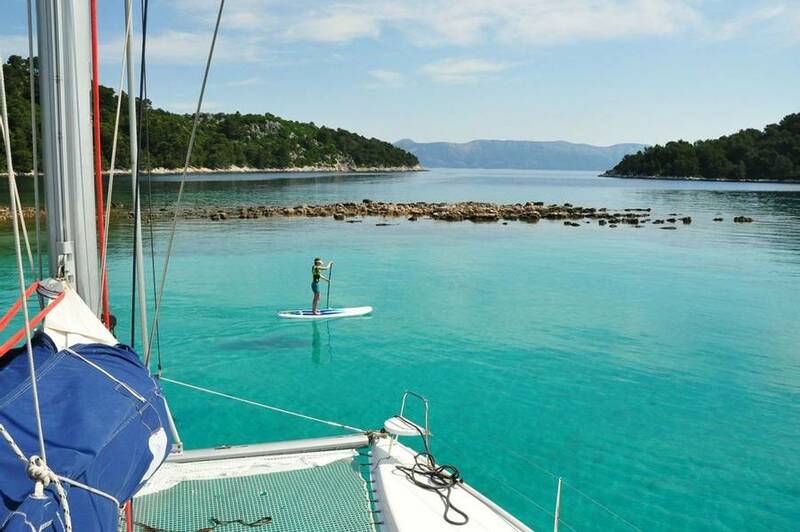 After breakfast, there will be plenty of time to swim, snorkel and paddleboard in Žuljana’s bay before sailing south towards Broce and Ston. Ston is a delightful old town and the best vantage points are to be gained from the city walls. Once you’ve done that, why not wander the narrow streets, grab a bite to eat or linger in one of the cafes and watch the locals go about their business? Don’t get too relaxed though. We would strongly recommend visiting the salt pans and trying out the delicious local mussels and oysters. Once that has all been achieved, it will be time to sail to this evening’s base at Broce. After breakfast, you’ll sail east, enjoying fabulous views of the coastline and the Elaphiti Islands until you return to Sipan where the sailing part of your activity week ends. 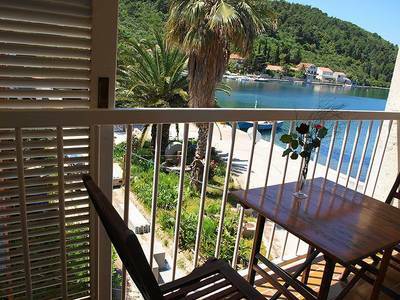 You’ll be taken to your new base, a seafront guesthouse in the fishing village of Šipanska Luka. The village is what Croatian island living is all about. Situated in a quiet and secluded bay, the seafront is lined with palm trees and old stone buildings with those archetypical red roofs. There’s nothing better than strolling along the seafront and stopping for a drink in one of the waterside cafés. It’s even better in the evening when the sun sets. 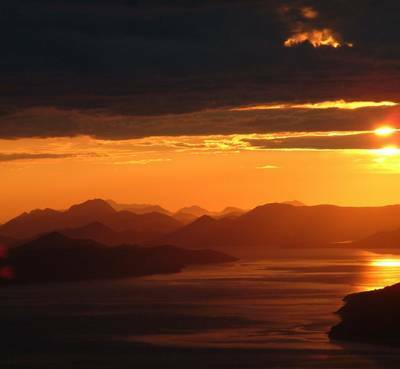 Croatian sunsets are unforgettable. You might want to grab a good vantage point at least once during the week to witness the entire western skyline turn to pastel shades of pink, red and orange. All the while, the giant orb of the sun seems to slowly sink into the Adriatic until it finally disappears entirely and darkness falls. However, today, there is the small matter of the afternoon to fill before you can start thinking about sundown (and sundowners). 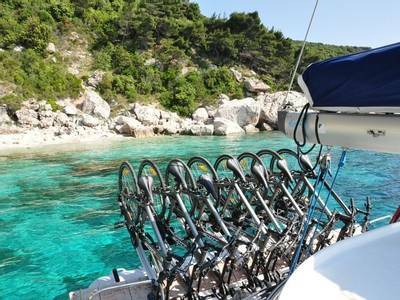 Sipan is the largest of the Elaphiti Islands and the best way to explore is undoubtedly by bike. There are very few roads on the island and, consequently, very little traffic, so you’ll be cycling today on what we might laughingly call “the main road” to Sudjuradj. The island is littered with castles, monasteries, churches and some seriously envy-inducing villas, so keep an eye out as you are riding along. It’s only a few miles between the villages and those miles start with a short and steady climb out of Sipan. 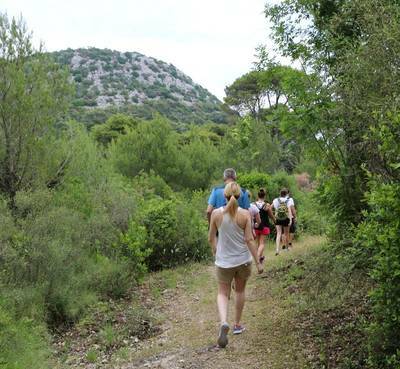 This is not a race so just find the easiest gear and the elevation gain is worth the effort as it brings you to a hilltop farm surrounded by olive groves, and with the best views of the island. 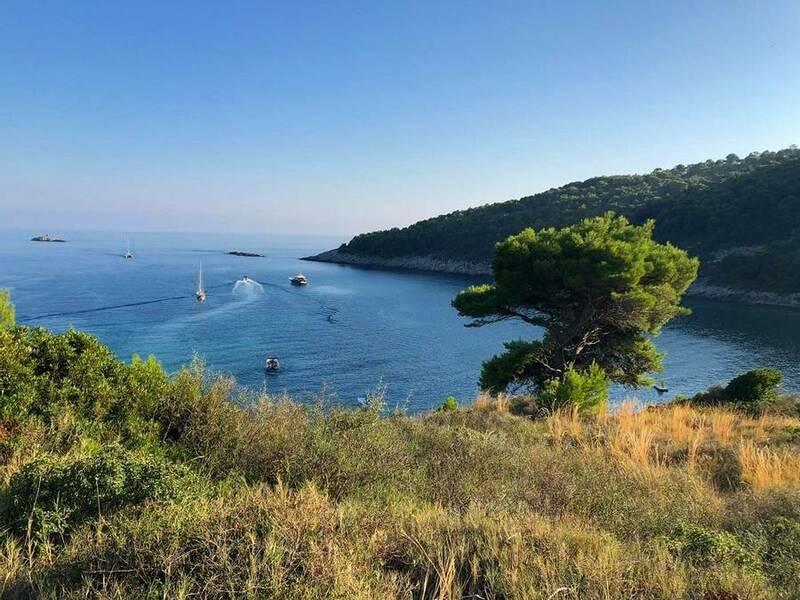 Enjoy the run into Suđurađ and take some time to explore the village’s narrow streets and lovely seafront (by now you will know the score: sleepy, quiet, palm trees, gently lapping water, stone-built houses…….it’s a tough way to live!). Back in Šipanska Luka, why not take advantage of the guesthouse restaurant with its seafront location and wonderful views of the setting sun? There are worse ways to end the day! There is nothing planned for today but that doesn’t mean that you don’t have choices. You might just fancy a lazy session on the beach with the occasional dip in the crystal-clear water of the bay. Alternatively, there are regular ferries over to Dubrovnik or Lokrum which goes by the somewhat sinister alias of “The Cursed Island” (ferry costs are not included in the holiday price). Sinister or not, Lokrum, with its monastery, its watchtower hillfort, its small lake (known as “the Dead Sea” – what happened on this island?) and botanical garden, is well worth exploring. A short ferry hop takes you from Sipan to Lopud, yet another in a seemingly endless stream of picturesque, pine-topped islands. Of course, from sea level, everything is up, but your gentle hike today is through shady pine forest before you reach one of the island’s highest points. There is a strategically placed watchtower fort which is a testament to more turbulent times but, the reason it was placed here is immediately evident. 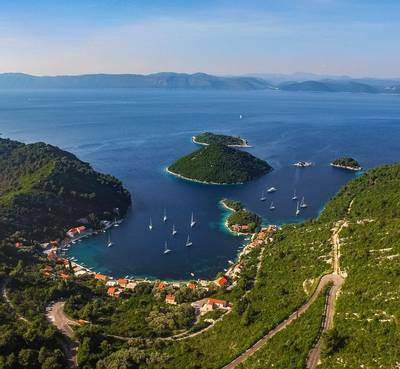 The views of Mljet and the Elaphiti Islands are simply gobsmacking and it’s fun to try and trace your sailing route from earlier in the week. Back on Sipan, the evening is free to enjoy Šipanska Luka. 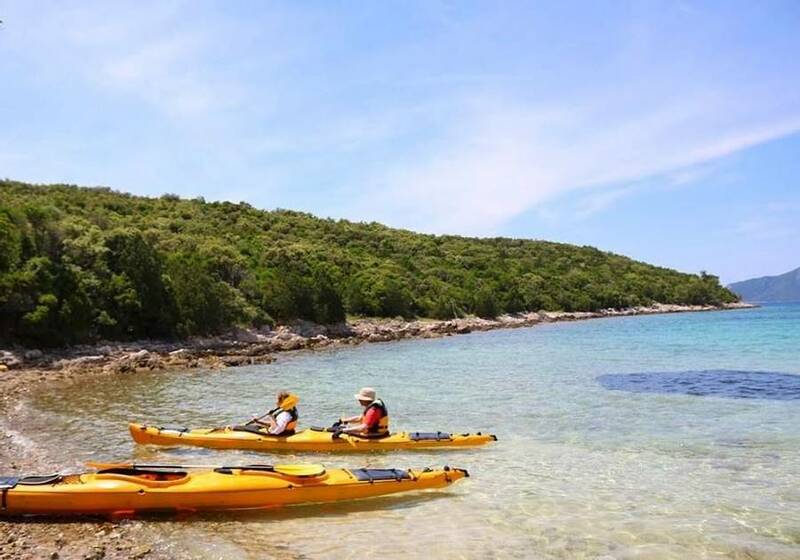 The placid waters of the Adriatic are ideal for sea kayaking and, not surprisingly, it has become a hugely popular pastime here. 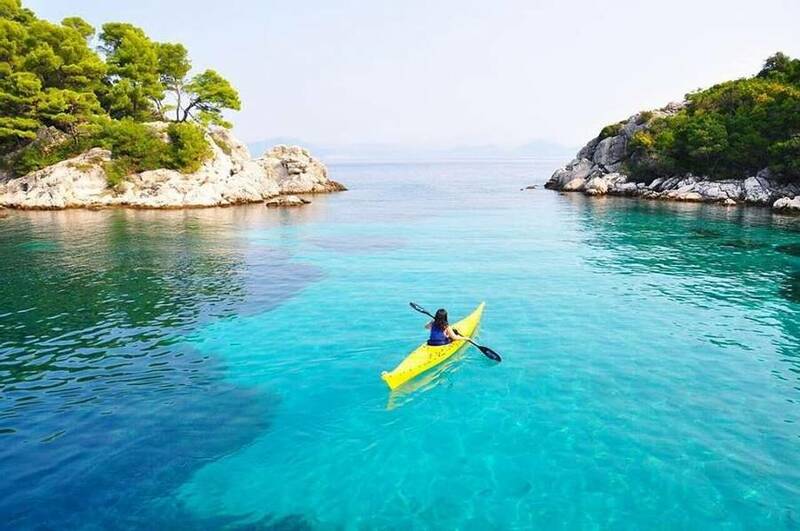 The Elaphiti Archipelago provides everything a sea kayaker could wish for in the form of small islands with rocky coves, inlets and quiet sandy beaches which are just begging to be explored. 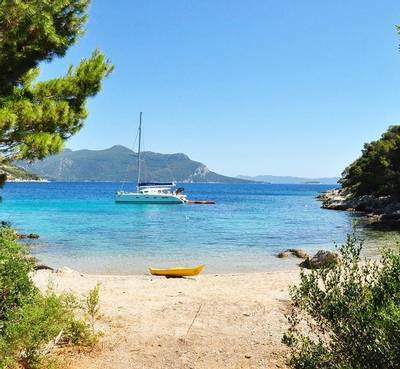 You will be heading for three of the islands, Jakljan, Tajan and Olipa all of which are uninhabited and can only be reached by small boat or kayak. There are none of the large cruise ships or packed tourist boats, so the beaches are secluded and, provide the perfect platform for some fascinating snorkelling in search of the local marine life. 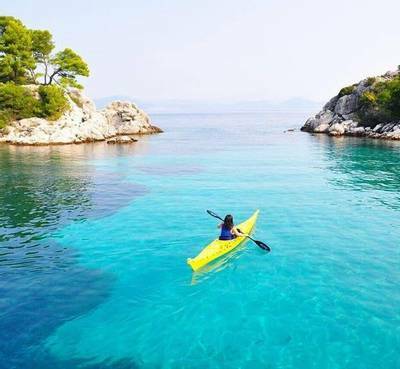 Alternatively, today, if you would like to spend some time in Dubrovnik, it is possible to kayak there. 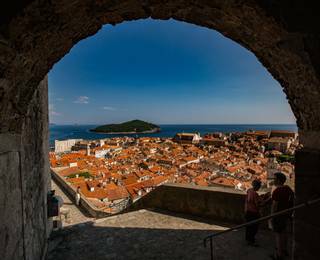 It’s well worth seeing the city from this rather different vantage point and to admire the imposing fortress walls before spending an afternoon exploring the streets that they protect. Sadly, that concludes the scheduled activities for the week. 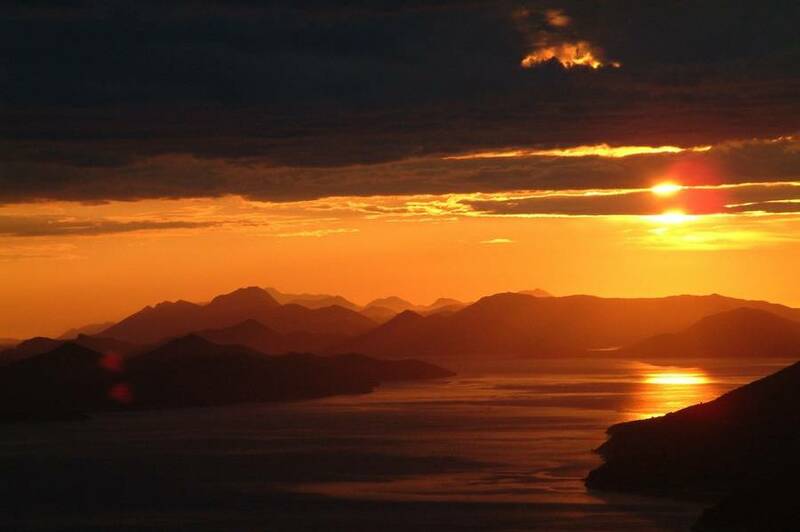 This evening will be your last on Sipan so make sure you enjoy that favourite dish one more time whilst watching the sun descend into the Adriatic. Airport transfers are available for any departure from Dubrovnik after 10 am this morning. If you want to catch an earlier flight, a supplement will be payable. 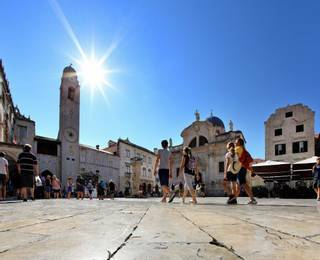 If you want to extend your stay in Croatia and/or Dubrovnik please let us know your plans and our Travel Experts will be delighted to offer advice and suggestions. Please note: very occasionally, the itinerary and order of activities may be subject to change at short notice in response to local conditions and/or logistics. Your safety has to be our first consideration and, in the unlikely event that we do have to makes changes, our partners’ decisions in Croatia must be accepted. This traditionally stone-built guesthouse has only six bedrooms so early booking is absolutely essential. It is situated right on the seafront in the small village of Šipanska Luka in the northwest of Sipan Island. With the beach just a few steps away, and a lovely harbour lined with palm trees, the location could hardly be better. The six bedrooms have either a double bed or two singles. 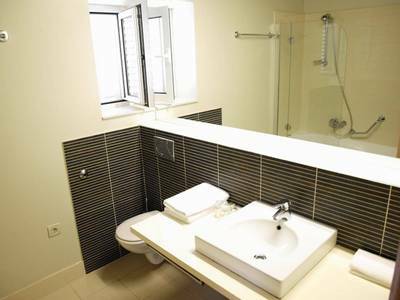 They are traditionally furnished with villa-type shuttered windows, have en-suite facilities and air conditioning. Free Wi-Fi is available throughout. A few of the rooms have small balconies. 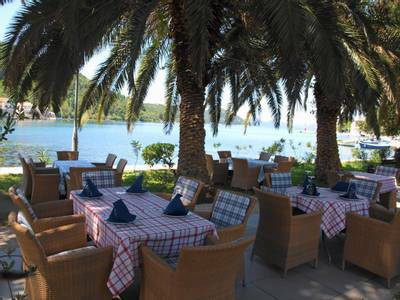 The seafront restaurant is downstairs and serves delicious food that is typical of the Dalmatian islands. Fish and seafood feature prominently as do traditional dishes such as beef goulash and “pig on a spit”. The village is small and there are not many restaurants, so it is worth booking a table for the nights when dinner is not included. The seafront terrace is a lovely, lovely place to relax with a drink and a meal. Sitting under the palm trees and watching the sun set into the Adriatic has to be one of life’s simplest yet most rewarding of pleasures. 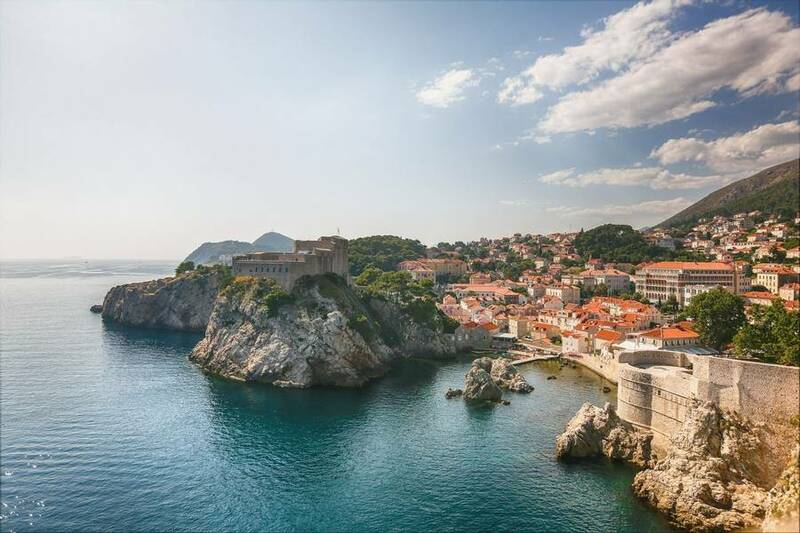 In order to ensure the smooth-sailing (pardon the pun) of your trip, we suggest spending at least one night in Dubrovnik at the start of your holiday, so you are ready and waiting to meet the boat at the set embarkation time on Day 1. Komolac Marina is only a few miles from Dubrovnik, where awe-inspiring architecture, ocean views and ancient city walls are only a few of many reasons to leave yourself with some time here. With extensive knowledge of the area, our travel experts can suggest the best hotel and airport transfer options to suit your budget and preferences. So, simply give us a call, speak to a member of our sales team, then relax and leave the rest to us. 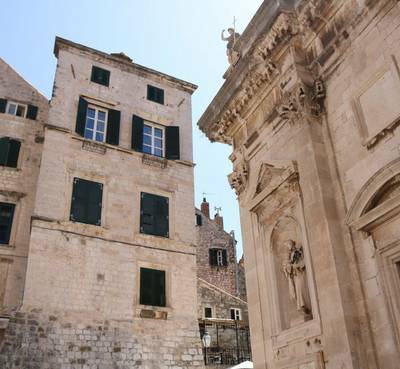 If you’re a fan of HBO’s phenomenally successful fantasy show Game of Thrones and you fancy extending your stay in the Dubrovnik (which we highly recommend), then this is the tour for you. This jaw-dropping city has been used in many a film and TV show but GoT has really put it on the map. 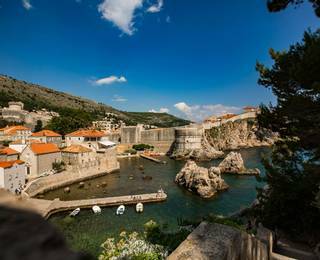 You’ll see all the most famous locations which are used in the show whilst also gaining a full appreciation of the beauty of Dubrovnik. 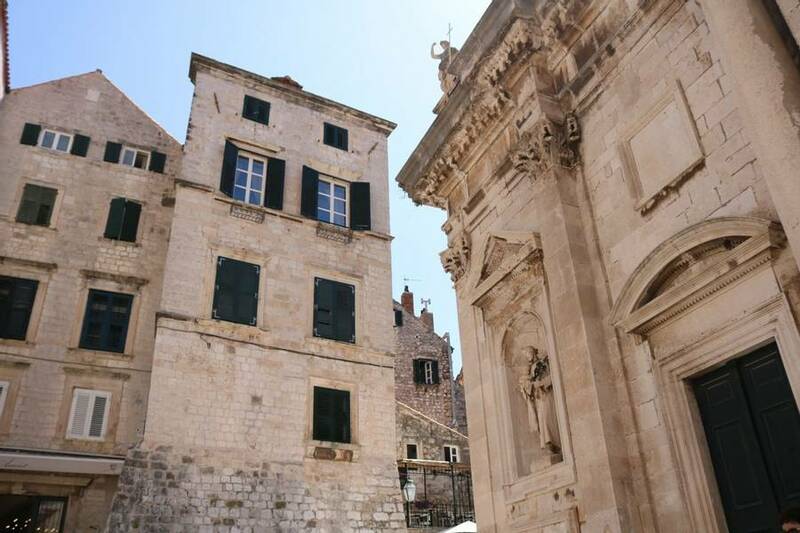 If you decide to spend some extra time in Dubrovnik (we cannot recommend doing this strongly enough) and you’re a fan of food and drink, then this is the tour for you. Whilst you can, of course, explore independently, a tour such as this five-hour food and wine experience offers the chance to delve deeper than you could do on your own. 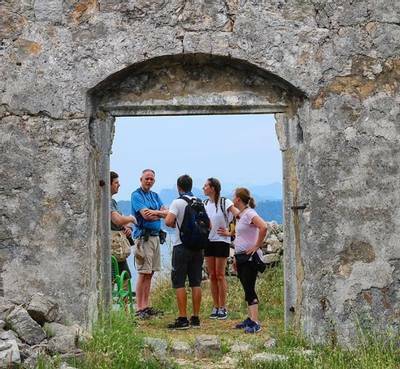 With a local expert, you will explore the flavours of Croatian cuisine and sample some of the region’s wines. You’ll visit some hidden gems and sample delights as you go. Lunch is included in this tour. Of course, this is also a city tour and so your guide will also show you the iconic locations within this UNESCO World Heritage Site’s city walls. 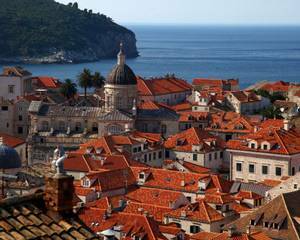 For the ultimate guided experience in Dubrovnik, we highly recommend this private tour. You will be shown some of the city’s most famous landmarks as well as some of the hidden gems. You will walk the cobbled streets with your guide, learning about the city’s most famous residents and incredible past and incorporating architectural, artistic, cultural and historical highlights.